Jump feet first into the athleisure trend with the Dansko Odina slip-on. 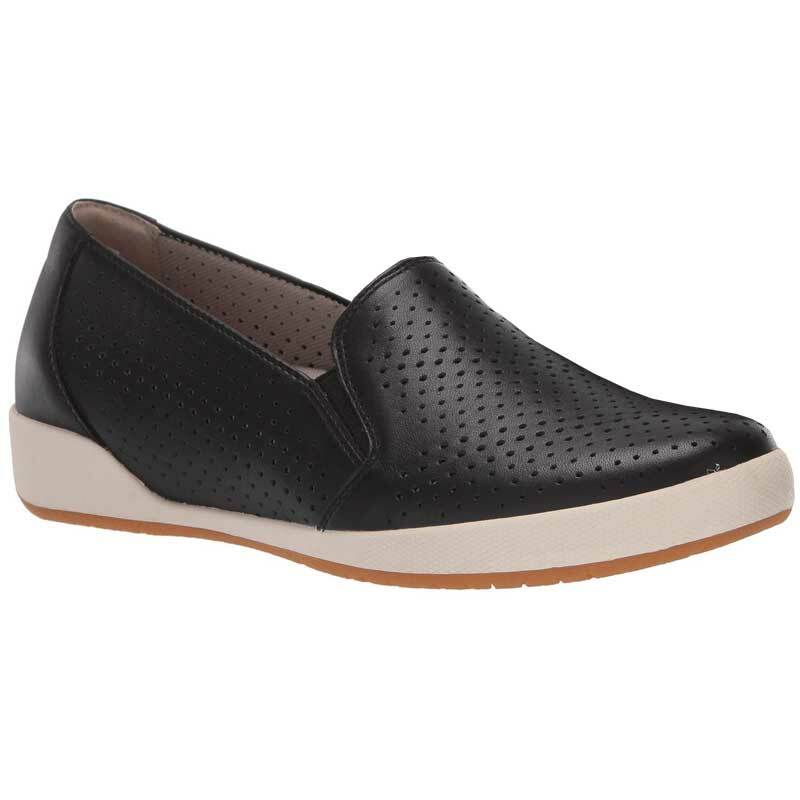 A perforated leather upper maximizes breathability, while side goring allows for easy entry. Textile linings feature Aegis® Microbe Shield for odor control and Biodewix™ protector for stain resistance. The Dansko Natural Arch™ technology adds support and shock absorption and the Odina is finished off with a durable rubber outsole that can take you from the gym to the store with ease. Keep on walking day after day in the sporty-chic style of the Dansko Odina sneakers.